Quality packing material and advanced machines are responsible for the safe packaging of the orders from our end. Moreover, our experts keep a strict vigil on the entire procedure. We are backed with advanced logistics services owing to which we are flexible in delivering the product range of time and with utmost safety. 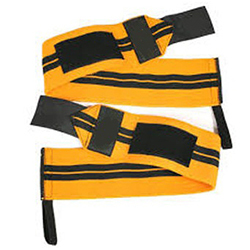 WB-204 Wrist Wrap With Thumb Loop has a sturdy body with excellent stretchability and is available in a quality packaging.